Presentation of past and in progress researches, according to two modes (time spared), Major and Minor. 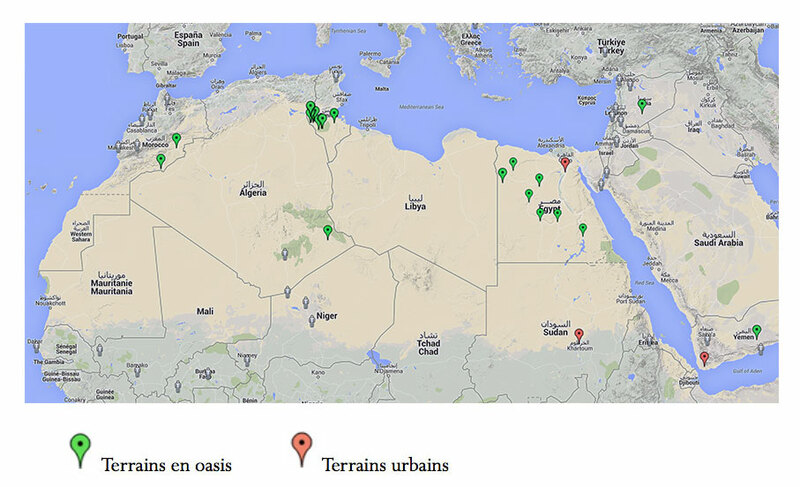 Major mode - Ecological anthropology and oasian natures: Morocco, Algeria, Tunisia, Egypt. Major mode - Public spaces in Cairo and in Khartoum: Downtown and public gardens (parks). Major mode - Anthropology of sound environments & of Sensory Perceptions. Minor Mode - Social anthropology on settled nomads, Aswan region (Egypt), work in collaboration with archaeologists. - New Fieldwork from 2015. Minor mode - Gardens in Egypt, parks and botanical gardens (they merge in Egypt), but also private gardens. Minor mode - The repertoire of Yemeni body Language (Taiz, Sanaa), soon Egyptian (Cairo), waiting for the Sudanese supplement (Khartoum). Minor mode - Anthropology of the paradisiac natures conceived in Egypt and posted on its walls. Minor mode - Anthropology on landscape, skinship (genealogy) in Corsica.